iTFE are proud to announce a new partnership involvement with BARCATS a leading hospitality recruitment provider for employers and employees, BARCATS was founded in Sydney in 2017 addressing the need for those in the need for flexible hospitality work and staff alongside a growing digital platform demand. 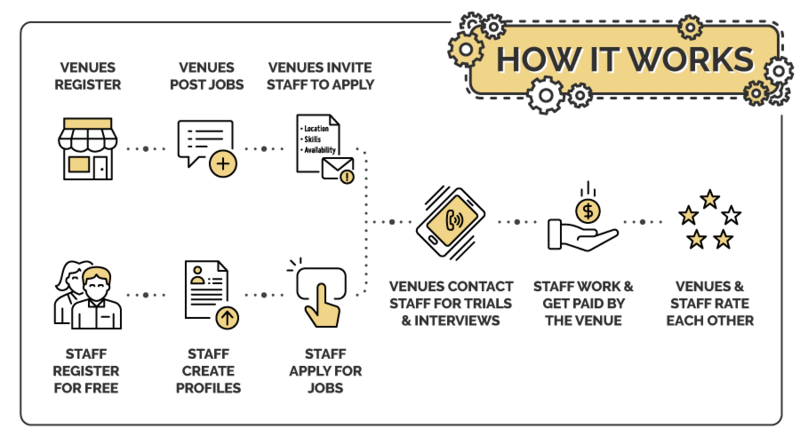 BARCATS unique and flexible system allows all Hospitality Job Seekers to update their job skill set, obtain further training, apply for jobs on the go and review past Venues roles; It’s platform structure has been designed to support applicant’s career development by providing them with the right training and exposure to prospective employers. Applicants are afforded the opportunity to register for free and start seeking jobs within minutes; whether it be for Baristas, Bar and Wait Staff, Cleaners, Chefs and Cooks. If you are looking to only work locally, simple set your search to find local hospitality jobs, or if applicants are looking for a few shifts to supplement their current position, they can keep their online schedule updated to ensure that employers can identify them as a ‘perfect match’. BARCATS has significant alliances with market leaders including Diageo, Treasury Wines and Lion so opportunities are always ever present so if it’s a job in hospitality your seeking then look no further than BARCATS, signup is free and it only takes minutes to get setup and on your way to the job you’re after! Ready to start applying or want to learn more? Visit BARCATS.